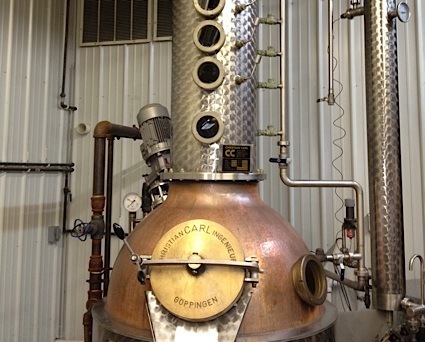 Bottom Line: A canvas for cocktail creation. Charles Jacquin et Cie, Inc.
84 • Jacquin’s Vodka Royale 40% (USA) $9.99. 91 • Original Bartenders Margarita 12.5% (USA) $9.99. 90 • Savory & James NV Fine Ruby Porto, Portugal 20% (Portugal) $10.99. 89 • Savory & James NV Fine Tawny Porto, Portugal 19% (Portugal) $10.99. 87 • Savory & James NV Deluxe Quality Cream Sherry, Jerez 20% (Spain) $10.99. 89 • Savory & James NV Deluxe Medium Amontillado Sherry, Jerez 20% (Spain) $10.99. 87 • Savory & James NV Deluxe Dry Fino Sherry, Jerez 15% (Spain) $10.99. 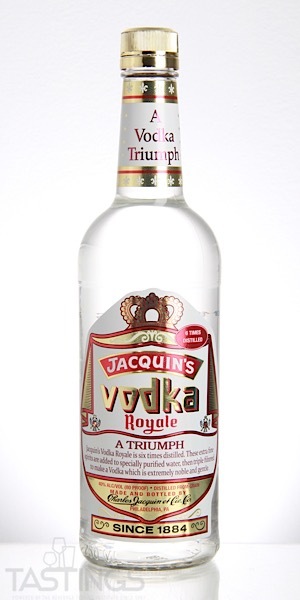 Jacquin’s Vodka Royale rating was calculated by tastings.com to be 84 points out of 100 on 11/30/2018. Please note that MSRP may have changed since the date of our review.